Prazo de inscrição: Thursday 15 November at 12 noon EST. 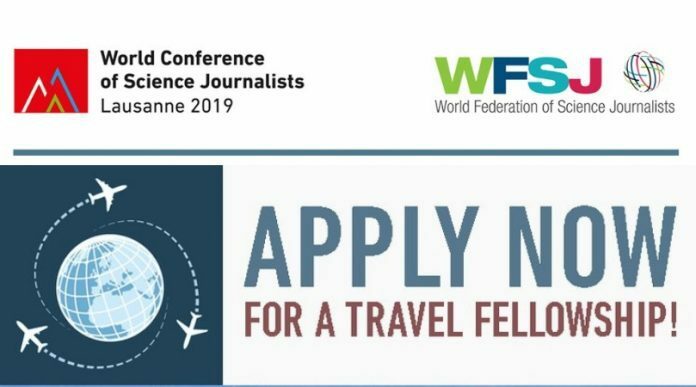 Anyone who actively writes, edits or produces science news, information or commentary for an independent media, working as staff employee or freelance journalist, or is a member of one national Member Association belonging to WFSJ, and who normally would be unable to attend the Conference without financial assistance. It will be expected from each grantee to provide an article/post for the Foundation’s blog (https://bold.expert/) linked to the broad topic of «learning and development», and more precisely addressing one of our four BOLD pillars, namely «The learning individual» – «Learning contexts» – «Learning technologies» and «The learning society». Each child is unique. Providing effective support for children and adolescents requires an understanding of how they develop and learn. Research plays a critical role in the development, evaluation, improvement and dissemination of interventions and programs to benefit children and young people. Researchers may soon be able to tell us how to tailor education to children’s individual needs, taking into account biological, social and economic differences as well as differences in their upbringing. This would be a historic breakthrough, and would help to overcome disadvantages that can affect children for a lifetime. A wide variety of disciplines – psychology, neurobiology, evolutionary biology, pediatrics, education, behavioral genetics, computer science and human-computer interaction – need to be involved in this endeavor. From a communication perspective the challenging question is : How and to which extent can research in education science be translated into science journalism ?